As an Institute for Integrative Nutrition student, you will receive the most comprehensive training in nutrition, coaching skills, and business development there is. Take a peek at what a day in the life of an Integrative Nutrition Health Coach looks like and how you can make a living doing work you love. Mention my name during enrollment and save $1,000 (or more) on your IIN tuition! Learn how. Back in 2012, I was a senior in college and had all of those typical senior-year habits: drinking way too much, not working out (like not even once), taking all the naps, and eating all the things. It showed. Needless to say, studying to become an IIN health coach was not on my radar. I was constantly exhausted and didn’t know what it felt like to feel good. My body couldn’t go a day without rest, and I found it hard to wake up for my 10 AM classes…so I didn’t. Fast-forward to the summer of 2014. I’m living and working in the fashion industry in New York City, finally doing all the things I’d dreamed of in college. I have a killer closet, an amazing apartment, and a job that most girls would kill for. On the inside, I was constantly stressed-out and overrun with anxiety that I felt was out of my control. I had recently started working out with a personal trainer and started to see and feel changes in my body, but I didn’t have the nutritional experience to back up my increased activity. Waking up four days a week for a 6 AM training session, followed by a full day of work, then coming home to a puppy and dinner left me utterly exhausted. It showed. I was sick all the time, running on coffee, and was sleeping like crap. Yes, working out had shifted something within me and I knew I was possible of change, but I just couldn’t figure out my next step. How to take my passion and health to the next level. I discovered IIN in the late fall of 2014 and quickly realized that my life was about to change for the better. After chatting on the phone with the admissions staff, I felt like I had finally found my path in life. There were other people out there who had not only walked my path, but who had also turned their lives around and helped others in the process. Living my story for the past two years, I had realized that my journey was not a struggle, it was truly grounds for change and a step towards becoming a coach and beacon of change for others looking to improve their holistic health and wellness. Taking the leap and enrolling at IIN completely changed my life, and I pinch myself that I get to wake up each and every day to help others on their path to wellness. At the end of the day, embarking on a journey with IIN and becoming a Health Coach is what you make it – the power is in your hands! If you’d like more information, request an info kit or learn more about the curriculum. Convenience, for one. 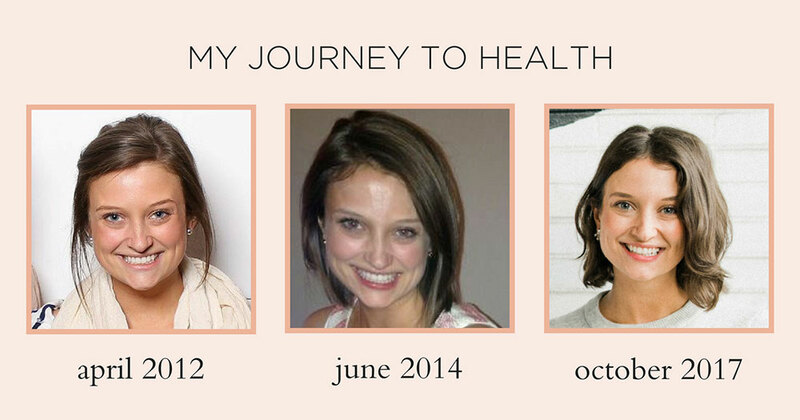 I loved how convenient studying to become a health coach at IIN was. This was one of the great underrated values for the cost of tuition, in my opinion. For example, I could work on my modules on my own terms as my schedule would permit. As long as I stayed relatively up-to-date, I had no problem completing everything. What I also really liked about IIN was the varying nutritional theories that we were taught. We all know there isn’t a one-size-fits-all diet, and IIN fully supports experimenting and trying different styles of eating to find the one that works best for you and your client. You’ll learn a dozens of different dietary theories from the top teachers in the world. Also, IIN is truly about looking at the big picture, a holistic viewpoint. You or a client could be eating all the broccoli in the world, but if she’s in an unhappy relationship, she’s never going to shed the extra weight. You’ll learn about how to look at the big picture! On top of it all, you’ll also receive all the tools you need to successfully launch your coaching business. I’m talking handouts for you and your clients, program contracts, a free website, and more! There truly wasn’t that much that I didn’t enjoy about the entire process. If you have an open mind to learning new things in new ways, have a continued interest in helping people, and love the process of self-discovery, this is the perfect course for you! HOW MUCH TIME DO YOU PUT INTO IT? I enrolled with IIN at a time I was working my full-time corporate fashion job in New York City. I found managing my current work and studying with IIN was very manageable if I planned ahead and made my learning a priority. All of the IIN courses are web-based and available virtually anywhere in the world, so I’d catch up on classes on the bus, on the treadmill at the gym, or while walking to work. The program itself runs for just under a year, with a new module almost every week. HOW MUCH DOES IIN COST? When compared to other nutrition programs, the tuition cost for IIN is incredible! The best way to get the most up-to-date pricing is to talk to someone on the Admissions Team. Save at least $1,000 on your tuition when you mention my name, Carley Schweet, while enrolling with the admissions office. Payment plans are available! You can break up your tuition into payments. I made my investment back within a few months of coaching! Please contact me if you have any other questions about the program! I’m happy to chat. I have an appt to talk to an IIN admissions counselor tomorrow. I have been shopping around and trying to find the best program. I have worked as a licensed physical therapist asst. for 16 yrs and also a yoga instructor. I’m concerned about the tuition cost as is my husband. Can I really save 1000$ by mentioning your name tomorrow? So exciting! IIN truly changed my life. Yes, you can absolutely save $1000 by mentioning my name to the admissions counselor should you choose to become a student of IIN. Feel free to contact me if you have any other questions!